Time and age cause wooden doors to bind and even stick. As your house settles, doors misaligned in the frames, dirt buildup. Or the door may have been misaligned from the start. A variety of problems occur with doors. Some, such as damage to their surfaces. Not all sliding doors can be repaired. 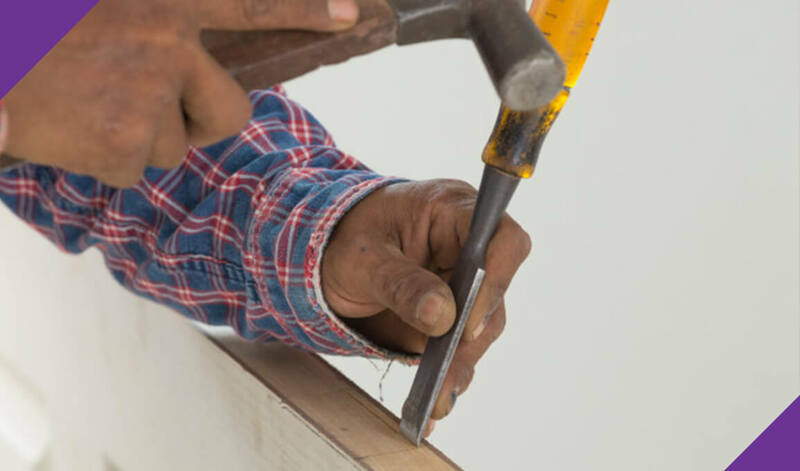 In most cases, the repair work involves taking down the door from the frame after which realignment would be needed. Sometime, sliding door parts replacement might be impossible. Due to availability issues of the parts of the sliding door, An entire sliding door replacement should be considered especially if the sliding door or frame is severe damage. Many problems that occur with exterior entry doors, such as a front door, are the same as those that happen to interior doors. Do you have a broken wooden door? Having difficulties opening it due to misalignment? Joydom Engineering is here to solve your problem! We provide wooden door repair from door alignment, door hinge replacement, door replacement, door varnishing and even door painting. Call us now at +65 8163 2621 to find out more.